The Australian Council of Recycling (ACOR) says doubling SA councils’ waste levies would create 600 jobs and see almost all the state's waste diverted from landfill. But the SA Local Government Association has rejected the claim. LGA president Mayor Dave Burgess says that experience across Australia showed that the size of the waste levy is not an accurate indicator of recycling rates. He claims South Australians are already national leaders in recycling, with a far lower waste levy rate than in NSW, which had less effective outcomes. SA’s current waste levy — the government fee to dump waste in landfill — is $57 per tonne, compared with $133 in New South Wales, $55 in Western Australia and $61 in Victoria. “The proposal just doesn’t make sense at a time when Councils are working hard to keep rates as low as possible and a Parliamentary Committee is debating capping rates,” Mayor Burgess said. Currently around $66 million of taxpayers' funds are sitting unspent in state coffers. 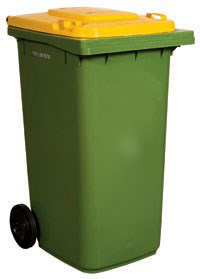 “We know that the main barrier to improving kerbside waste management outcomes is lack of investment by the State Government after the closure of Zero Waste SA and withdrawal of investment of funds generated by the waste levy,” Cr Burgess said. ACOR chief executive Grant Musgrove told reporters this week that increasing the levy would mean that resource recovery - recycling - would become more economically viable, diverting more and more waste away from landfill. ACOR’s report - undertaken by Deloitte Access Economics - says about 600 jobs would be created if SA’s levy was more like NSW’s. It said the jobs would come from investment in new technologies like energy-from-waste plants. “Diverting waste volumes from landfill into resource recovery could, within a relatively short period of time, see hundreds of millions of dollars invested in new, state-of-the-art recycling facilities,” ACOR chief executive Grant Musgrove said. “The challenge resource recovery facilities face is that it is cheap to put waste into a hole in the ground instead of recycling it. “A much better outcome is to use advanced manufacturing facilities to process waste and recover value from it. ACOR has handed the Deloitte report to the State Government as part of discussions on how to reform the waste sector.